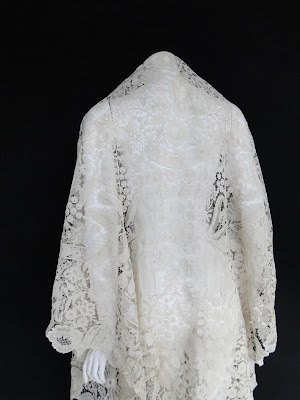 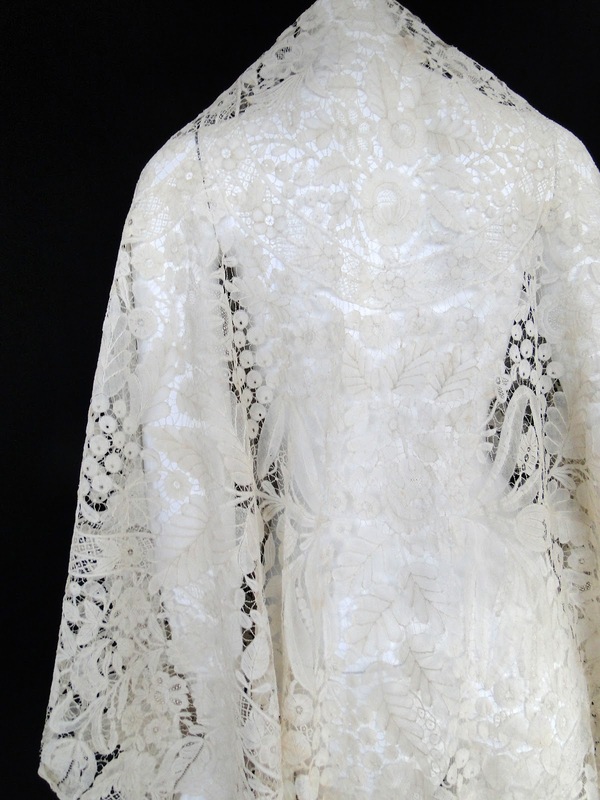 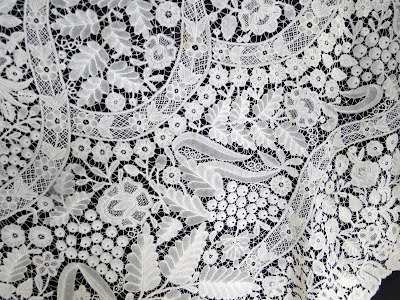 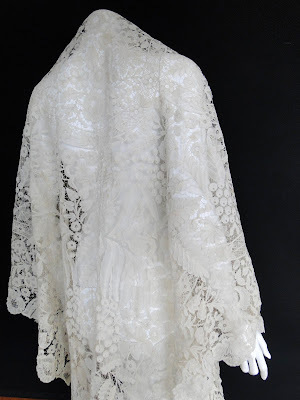 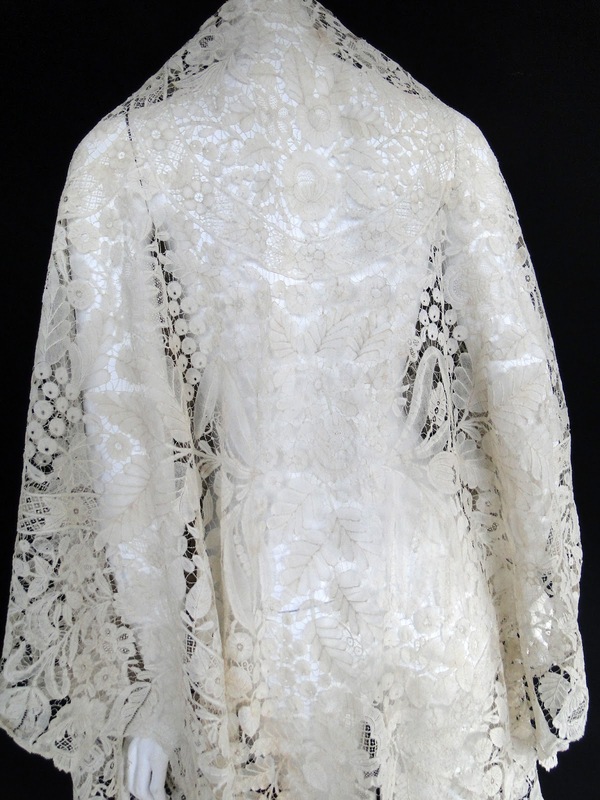 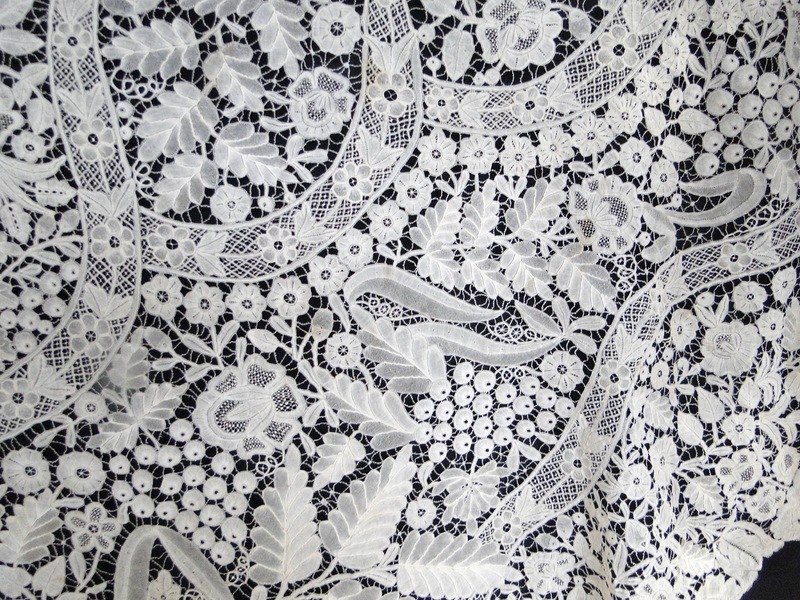 RARE 19THC.BRUSSELS FINE BRUGE BOBBIN TRIANGULAR LACE SHAWL. 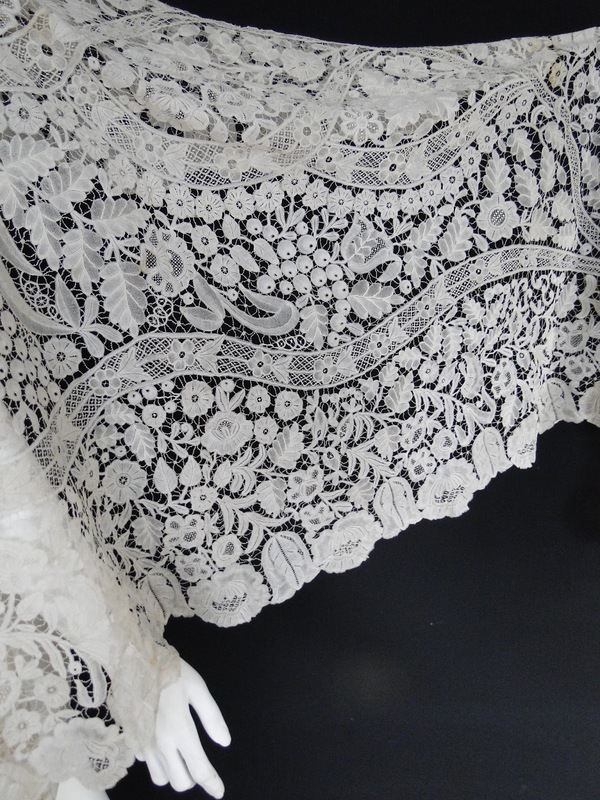 A rare Brussels bobbin lace triangular shawl measuring apprx. 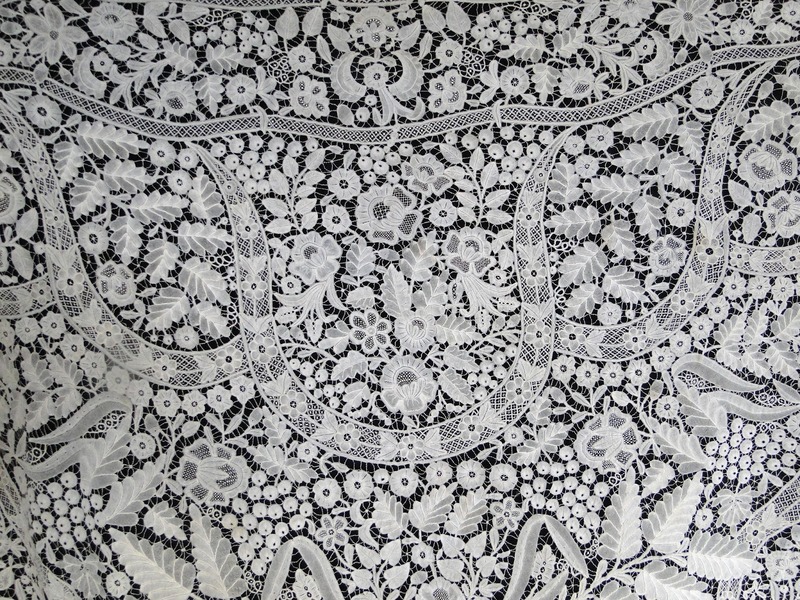 112" by 62" at widest part, centimeters 284.48 cm by 157.48 cm. 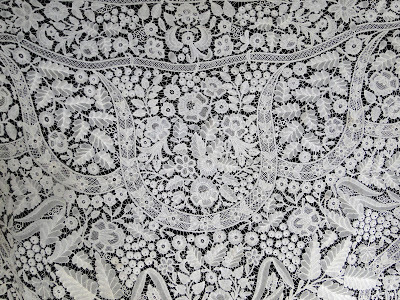 The design is extremely ornate with large florals, meandering vines and elongated flowers with scrollwork throughout the shawl. 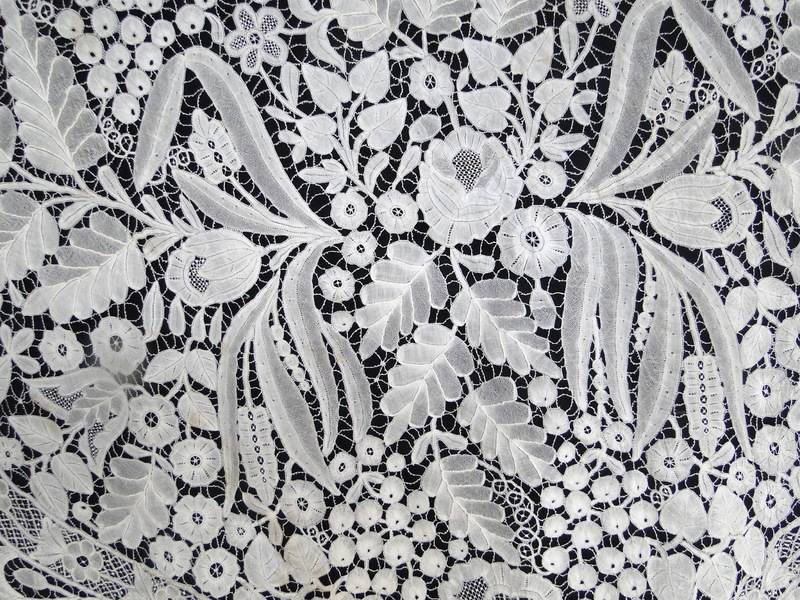 The workmanship is fine and the thread is delicate and has a lovely light weight to it. The shawl has it's original patina , this was not washed and so retains it's original color.In very good strong condition, there might be a few minor openings, but I have not see them. 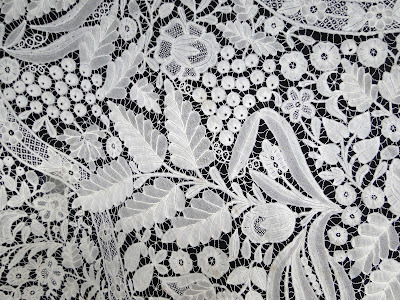 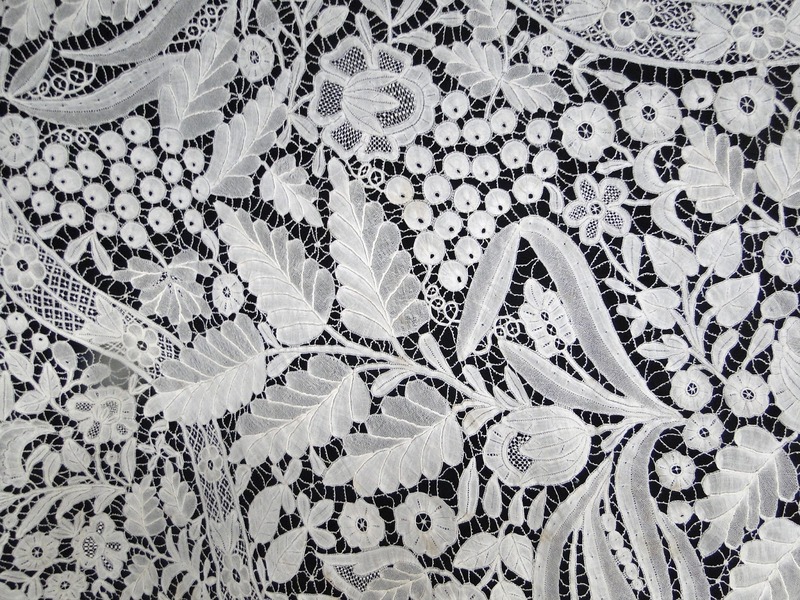 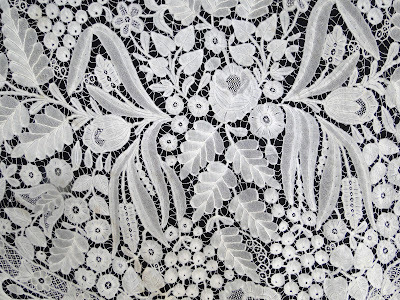 A rare and beautiful Brussels lace item.